Breakfast is the most important meal of the day. But regular Oatmeal and fruit juice may give you a sense of mundanity. 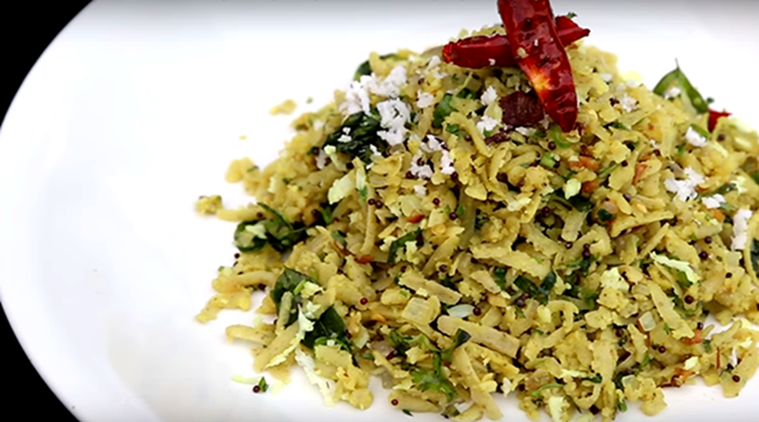 So we bring to you Pasi Payaru Upma, which has a desi tadka that will give your taste buds a wonderful treat and gets ready in no time. This recipe by Subrata Debnath, executive chef of Vivanta by Taj, Gurgaon, is one you should try really soon. * Put mustard seeds, curry leaves, chopped ginger, onions. Stir it well until onions get caramelised. * Add chopped green chillies to taste. * Next, add a pinch of turmeric and water if needed. * Add the chopped idlis in the pan and mix with the ingredients. * Add salt according to your taste. * Add some freshly chopped coriander leaves. * Now its ready to be served.